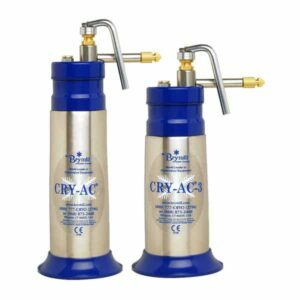 Wallach Surgical Devices ULTRAFREEZE LIQUID NITROGEN SPRAYER (0.5 liter) with 5 SPRAY APERTURES. The Wallach Ultrafreeze is used in the dermatology setting for freezing applications. Shown with stand, stand is available at additional charge.